This is great - thank you! I fear I'm being overrun by townies (again) so this will come in handy. Question: Is there a way to get a list of the population or at least the NPC's? You can never have too much yarn, fabric, or books. I will be making a new "Population Statistics" mod eventually. This will show several different stats. For the moment, I'm focusing on making a major mod that will have many different things included in it, and I might include this into the mod rather than introducing a new mod every time I come up with an idea. Instead of making a million uploads everywhere on the site (I'm sure the admins are busy enough), I might start releasing new versions of a much larger mod that will add features and fix bugs with every new release! Works well, tells me population is 160. I don´t understand why only 10 sims show up at a public lot if there are really that many in the world. Public lots are not heavily inhabited. There will only be a handful of sims visiting a public lot at any given time. 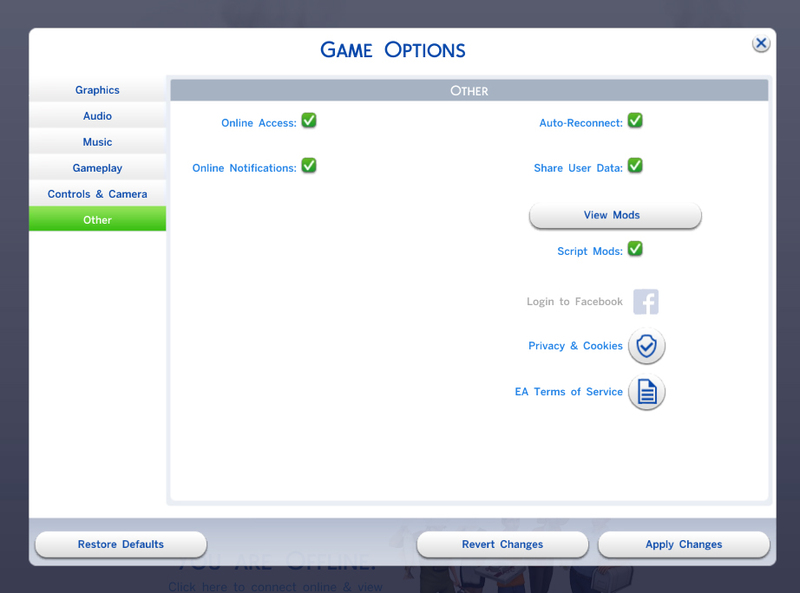 The 160 sims population introduces variety, mostly. Also, the game needs a large population to generate the sims that walk by your house. It's interesting that you get a population of 160 when the base game has a maximum population of 180. How many hours do you have logged? About 60 hours but I also download gallery sims put them in 8 person families, add them to a house then evict them to make the game recognized them as pseudo-townies. So 180 base game means I need about 20 more then haha. I really wish the rate of sims that walked by was a lot lower. And that the few sims that do walk by the house I'm playing were sims that were currently off from work AND lived in that world (Oasis Springs sims walking by in Oasis Springs and not in Willow Creek). With special priority given to sims that actually live in that specific neighborhood and still allowing friends to stop by and knock on the door no matter which world they live in. But then friends of my sim are currently stopping by to knock on the door three times a day each. It's kinda stalkerish. I took a break from deleting the townies the game is generating and the population went from 160 yesterday to 166 today. I love this mod Curious what happens if the population reaches something like 300. Hey, thanks for this mod. A quick question: Which Sims do you count ? I assume you count all living and all dead ones but does it also count purged Sims ? The ones that disappeared ? I'm at 192 now but I don't think I have as many (including the dead) but I might have if you count all the purged ones. If I remember correctly, the mod counts only those that are living. 192? That's quite a big figure, considering that the maximum population value for the game (by default) is 180. I believe, however, that this maximum may apply only to townies. #9 24th Sep 2014 at 10:47 AM Last edited by crinrict : 24th Sep 2014 at 4:17 PM. So you're saying it could be that we can have 180 townies (the ones that are currently not in world) ? Guess I need to count them manually and then see what your mod says. I counted 68 living Sims. Mod tells me it's at 217 now. I counted my sims manually and they are 54. This mod reports 179. Strange. Is this mod compatible with the new patch yesterday? The mod works but the patch removed the script enable setting in configuration. #14 2nd Oct 2014 at 2:32 PM Last edited by Morphar : 4th Oct 2014 at 10:32 PM. If you play a long time the population is stuck at about 180 as that is the game limit. Could it be expanded to show residents , male /female and other demographic statistics? Still works with the Mar. 26 patch.